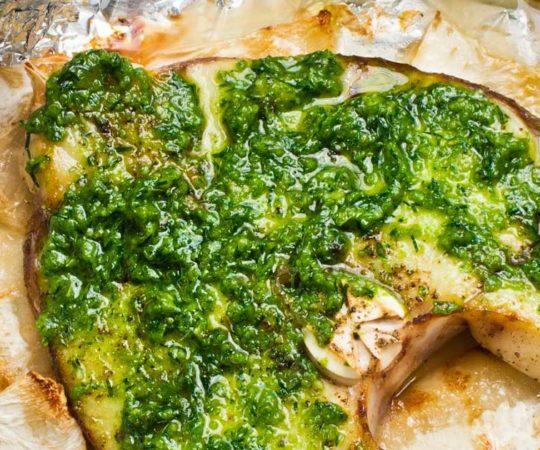 Looking for a quick, easy, and reasonably priced protein to keep your lunch Paleo-friendly? Head to the interior aisles of the supermarket – something you’ll rarely hear me say! – and grab a few cans of tuna. They are great to keep in your pantry for last minute meals and snacks and tuna can be dressed up in a number of ways. 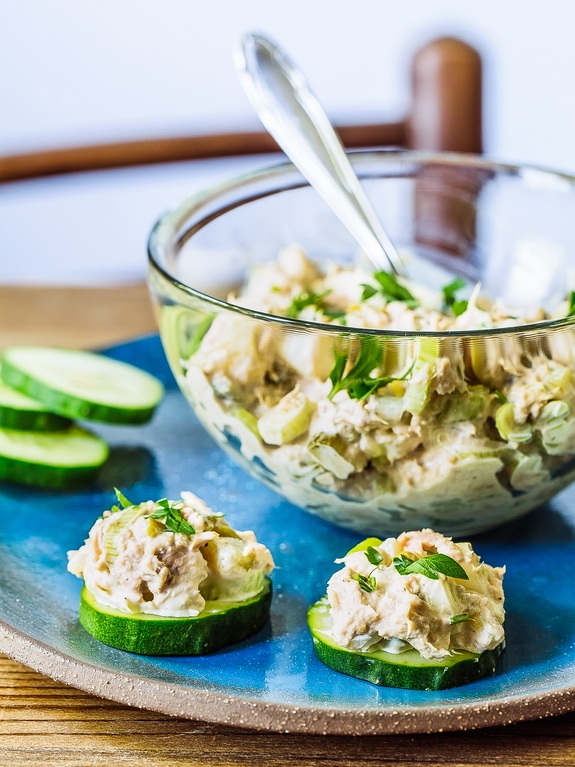 This Paleo tuna salad is one of my favorite quick lunches or post-workout snacks. I’m convinced that the only reasons I’ve managed to keep my Paleo lifestyle up all this time is that I quickly caught on to planning ahead. I spend a few hours on weekends making protein-rich meals and snacks that I can heat up on week-nights or grab from the fridge in the morning and take to work. This prep keeps me from snacking on chips and candy and other non-Paleo foods throughout my busy days. 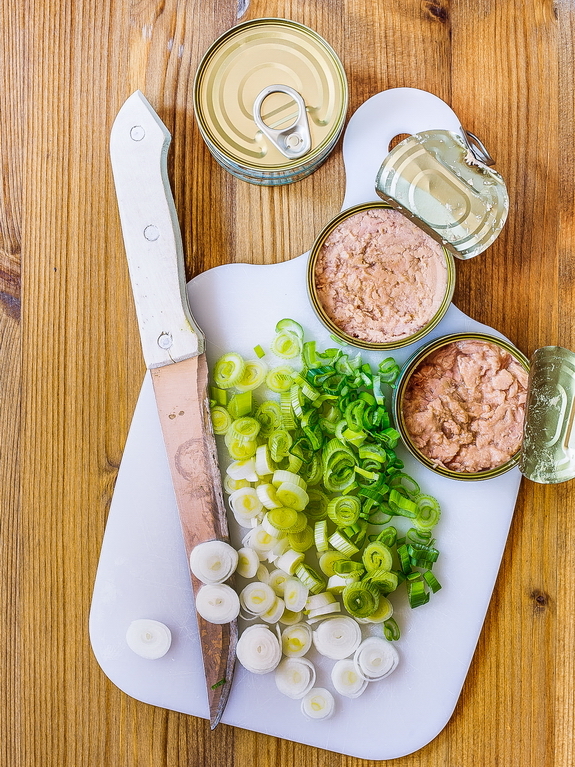 But I also always keep canned tuna on hand, as well as a few ingredients to make tuna salad. That way if I don’t have something already prepared, I can make a quick meal or snack from my canned tuna. One of my good friends who eats Paleo actually brings a can of tuna and a fork with her to the gym and she cracks that baby open after her work out and eats the tuna straight from the tin. 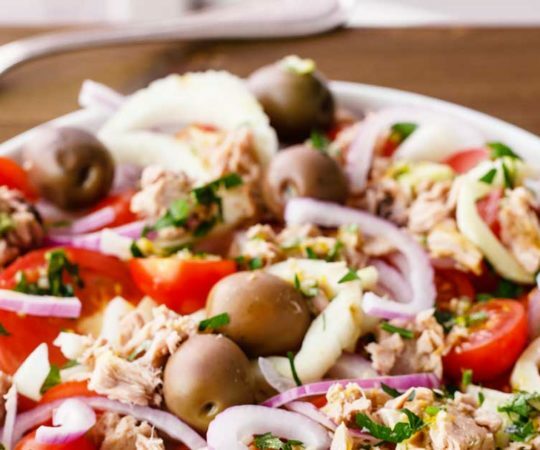 I prefer a little dressing on my tuna, so I wanted to share with you my recipe for Paleo tuna salad. 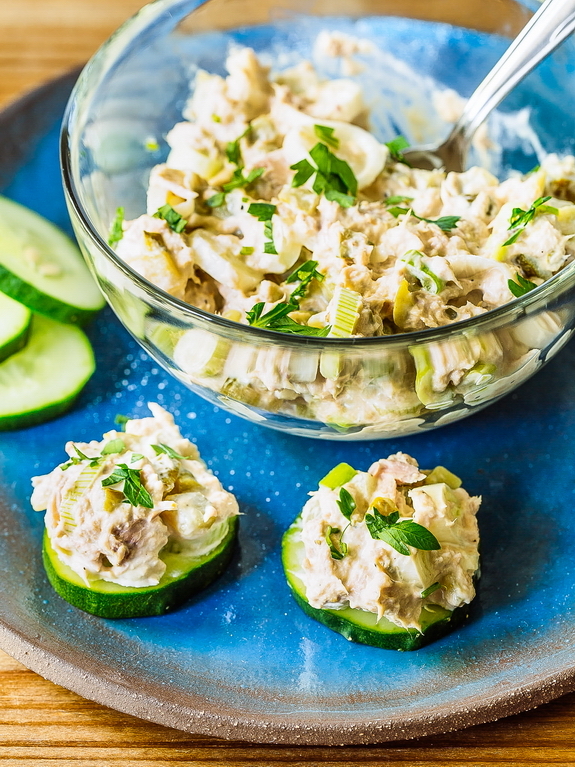 The only big difference between this recipe and a traditional tuna salad recipe is the mayo – I use a Paleo mayonnaise instead of a store-bought, non-Paleo version. I like my tuna salad packed with flavor, so I add a scallion, some dill pickle, mustard, and salt and pepper to my mayo and tuna. 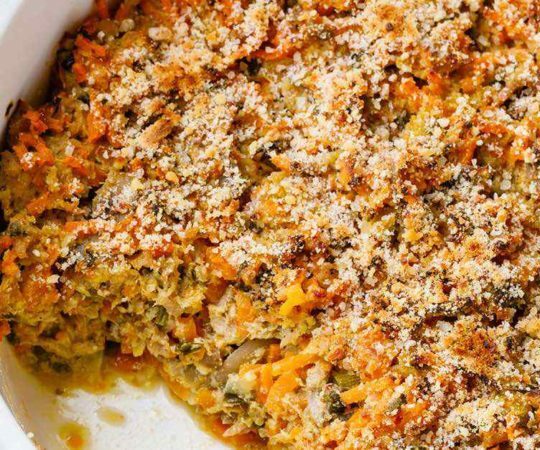 If you dig those flavors, I invite you to try out my recipe – I think you’ll love it. 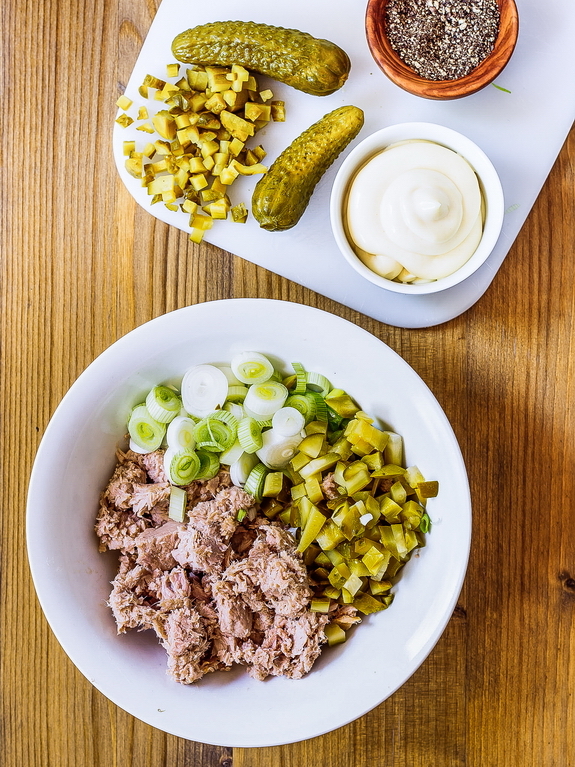 But here’s the great thing about tuna salad… not a fan of pickles or scallions or mustard? Cut out what you don’t like. Don’t like any of them? Try some other veggies! How about red and green pepper, diced small? Or onion and celery? Or even carrots! 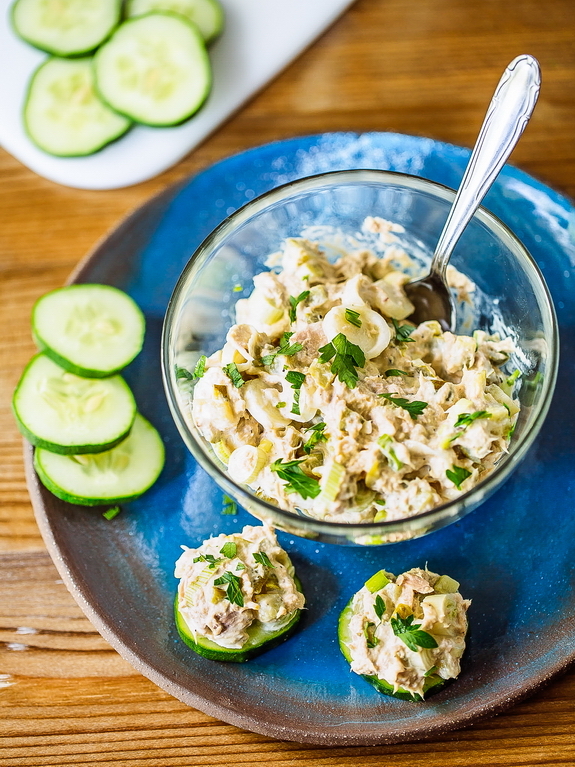 I love anything that gives my tuna salad a bit of crunch and it’s always a good thing when you can add veggies to a meal. 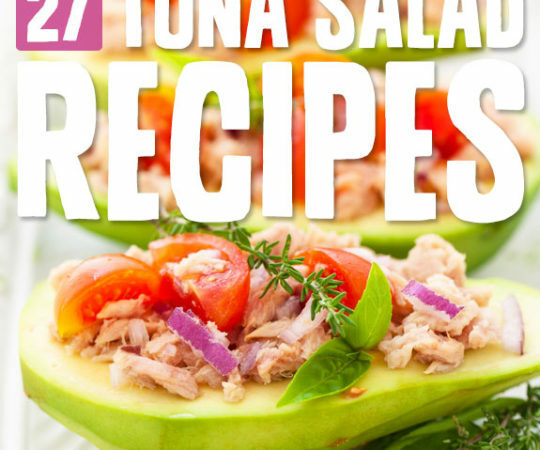 In addition to mixing up what goes in your tuna salad, you can also change up how you serve your tuna salad. Lunch at the office? How about tossing in some fresh lettuce, kale, or spinach as a base for your salad? 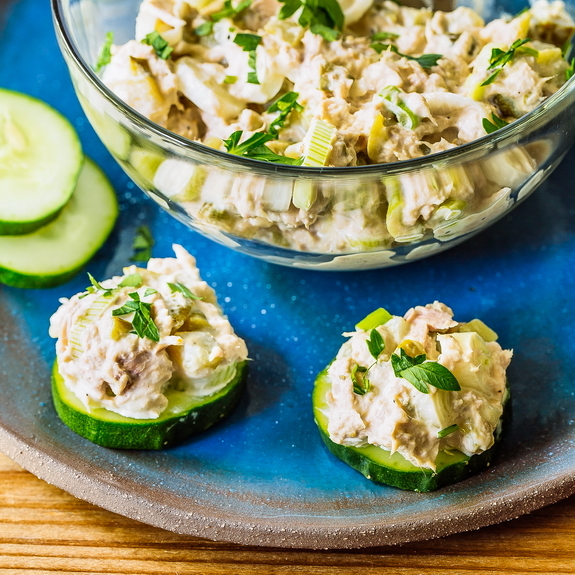 Or, if you’re looking for another finger food for a party, try serving this tuna salad on circles of cucumber, like I show in the pictures. 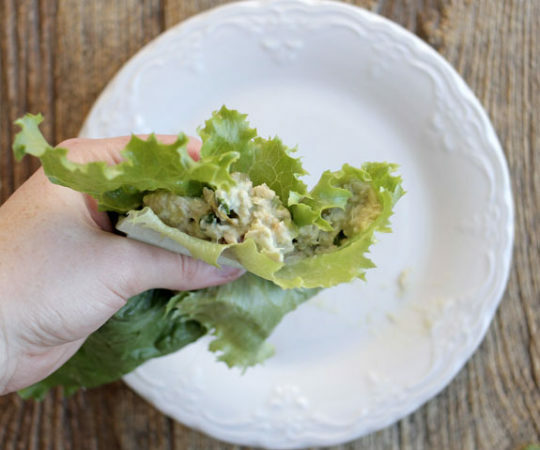 Finally, if you want a sandwich, you can whip up some Paleo rolls or even Paleo naan and you’ve got yourself a fabulous Paleo tuna salad sandwich. The combinations are endless. So next time you’re in the supermarket, remember to stock up on canned tuna. 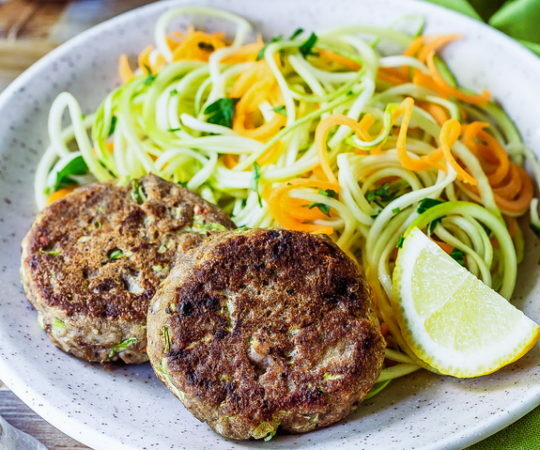 It can be a lifesaver when you don’t have a Paleo meal already made and it can make a great Paleo meal when you have a few minutes to dress it up! In a small bowl, break up the tuna with a fork. Add the scallion, pickles, mayo, mustard (if using) and mix to combine. Season to taste with salt and black pepper and serve. Haven’t tried, but will. Sounds great! Yup, your right… the best tuna salad I’ve had!! The pickles make it. I forgot the mustard but will try it nest time. Delicious, thanks.